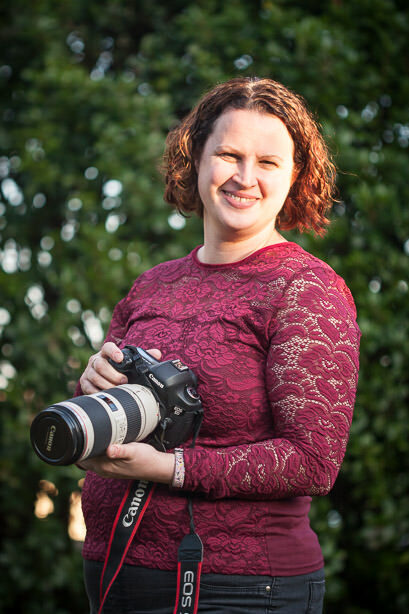 Hi my name is Caroline Jenkins and I am a family photographer based just outside Winchester. 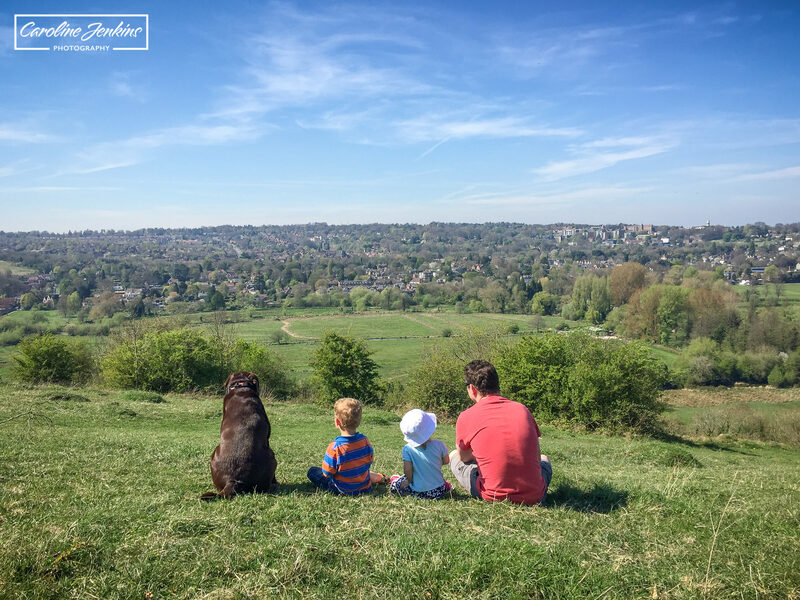 We have two little people and a chocolate Labrador so dog walks are an essential (and fun part) of our daily life. 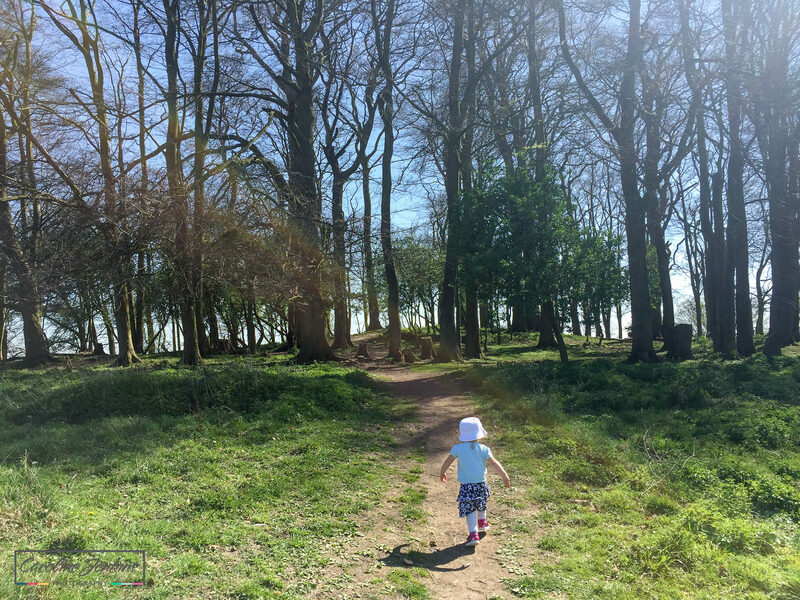 I never want the children to resent having Josie or having to go out on walks, so I try hard to ensure walks are a fun and varied. If the kids and the dog are all happy on a walk then happy days! 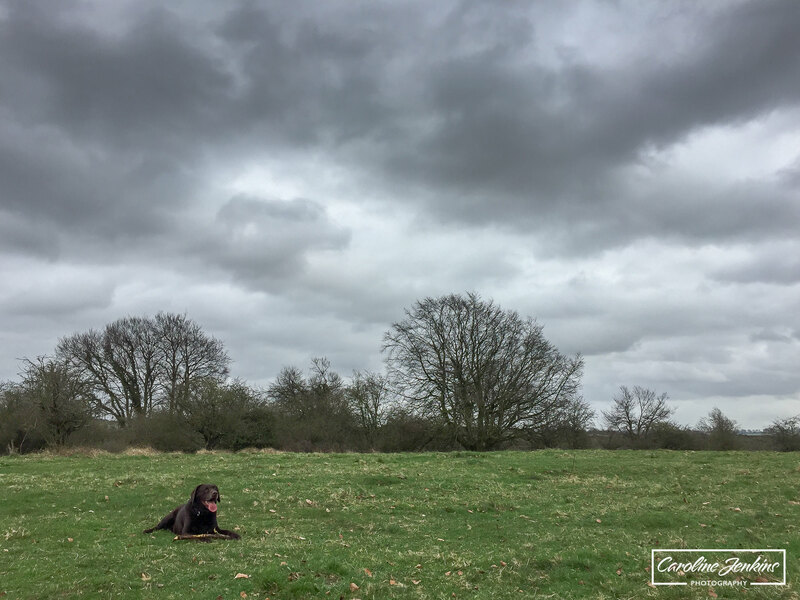 Recently I had a friend ask me where we go for local walks and if I could recommend anywhere for her to take her son and dog, so there was borne the idea of a blog of the best local dog walks near Winchester and the neighbouring towns. 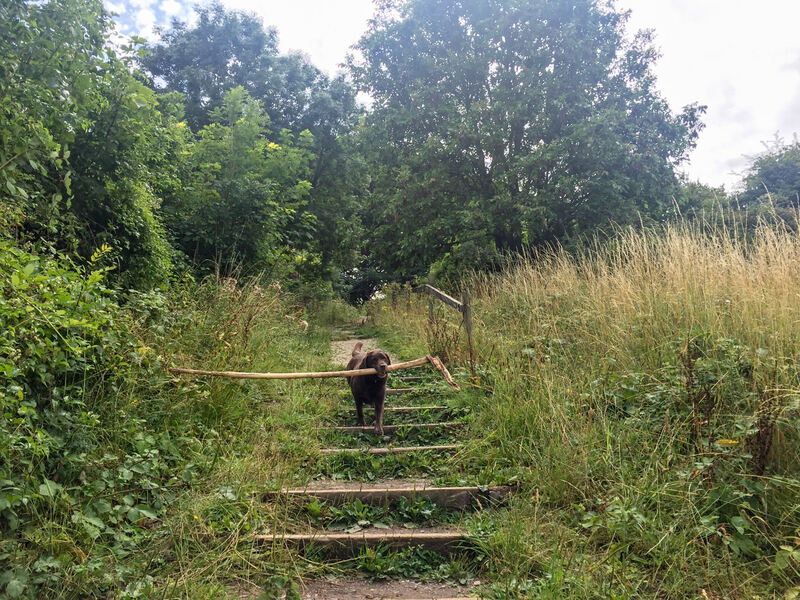 You can park at Five Bridges Road (free to park but limited space) and walk to the end of the road, turn left along a concrete path and then walk alongside the River Itchen with St Catherines Hill on the right until you get to the steps. 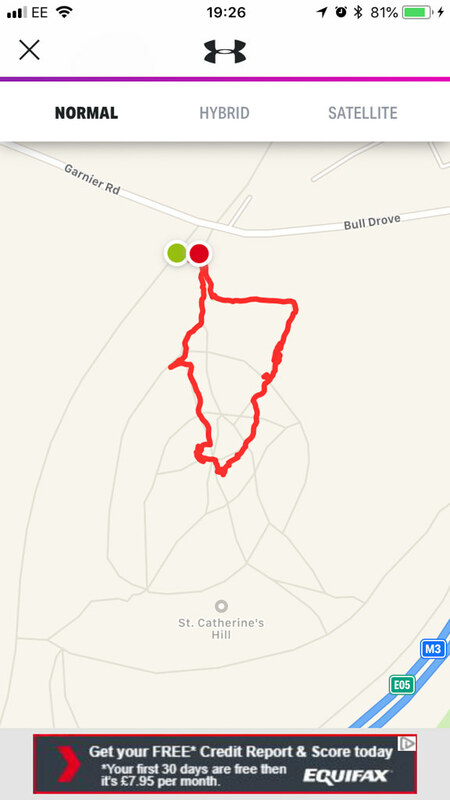 You can park at the Garnier Road car park and walk along the concrete path with St Catherines Hill on your left (until you get to the same set of steps), or you can do the walk I will detail below. 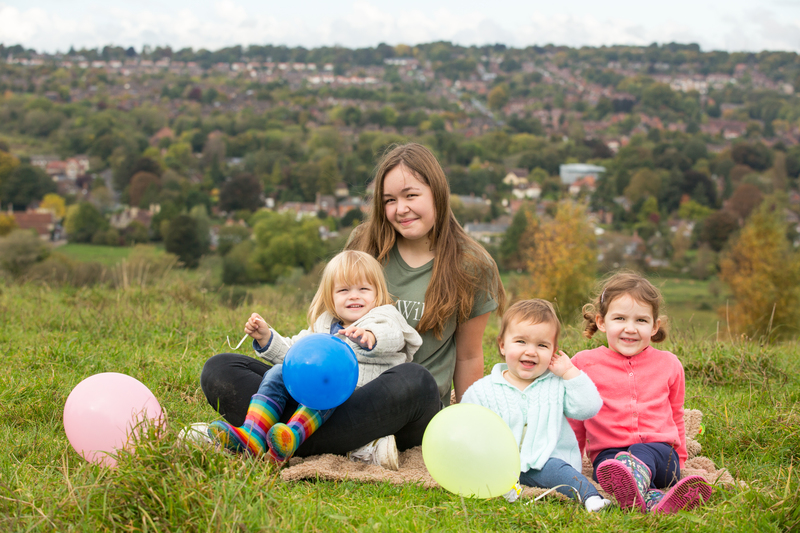 Unless you just want to walk along the pathway between the Itchen and St Catherines Hill, you will need to negotiate climbing the hill, which is steep and very inaccessible to wheelchair users and challenging for pushchairs. But the views at the top are definitely worth it I absolutely guarantee. 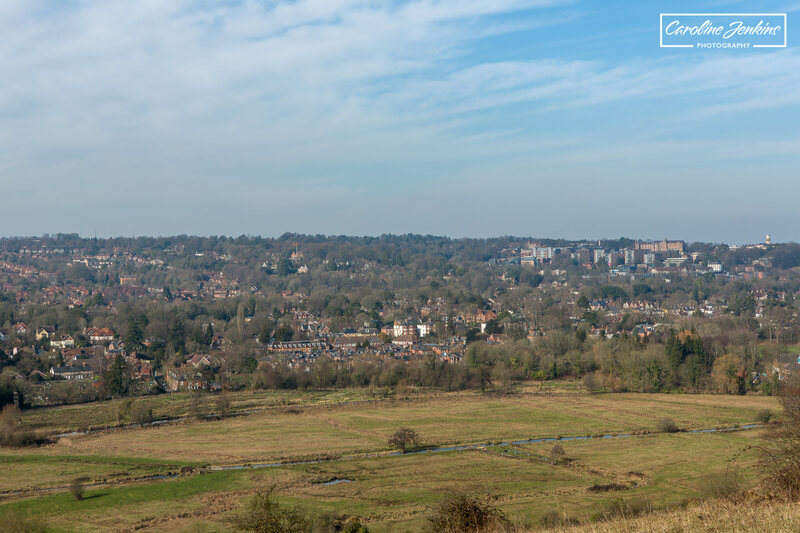 If you like views that look out over Winchester, then this is definitely a good walk for you! 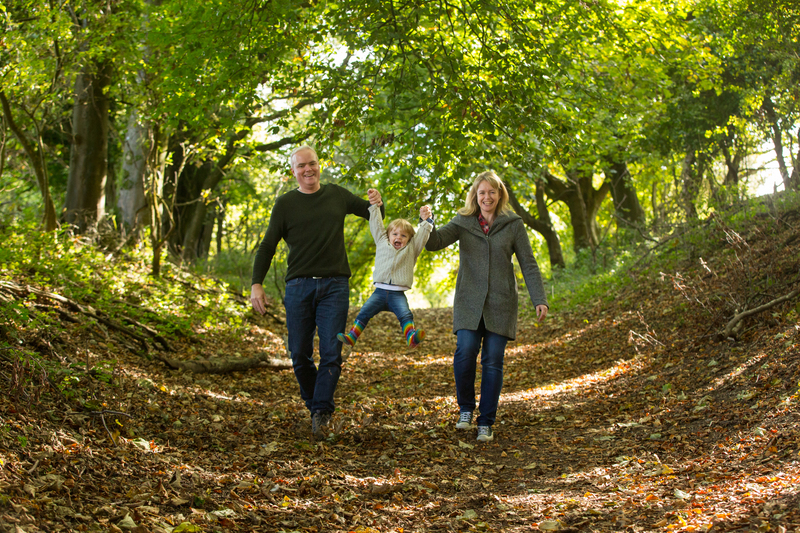 It was so special for one family that they requested they have a family shoot there to relive and enjoy all the fun that they had there when their Dad took them up as children! 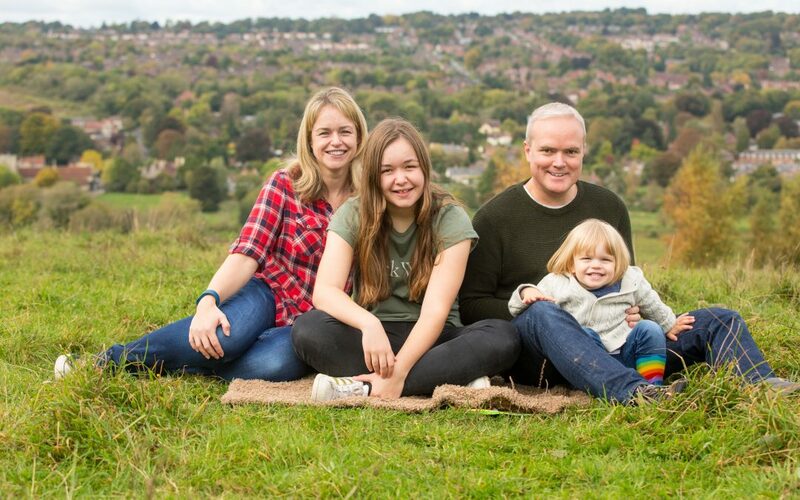 You can look at the blog here if you want to see what a family shoot looks like at the top of a hill! 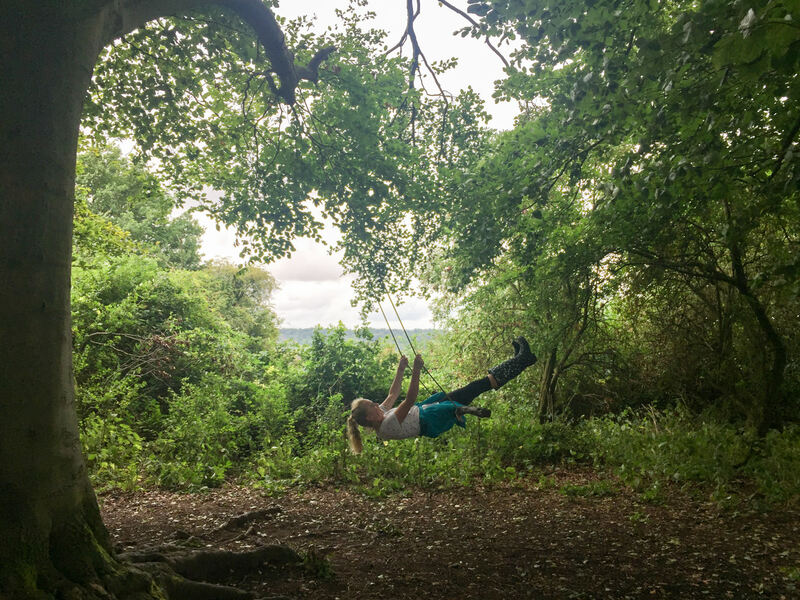 Regardless of the way you get up the hill, you are met with stunning views (if the weather is playing ball), a grass maze, rope swings, trees to play amongst and a sense of peace and quiet. Oh and the occasional cow (or 5)! 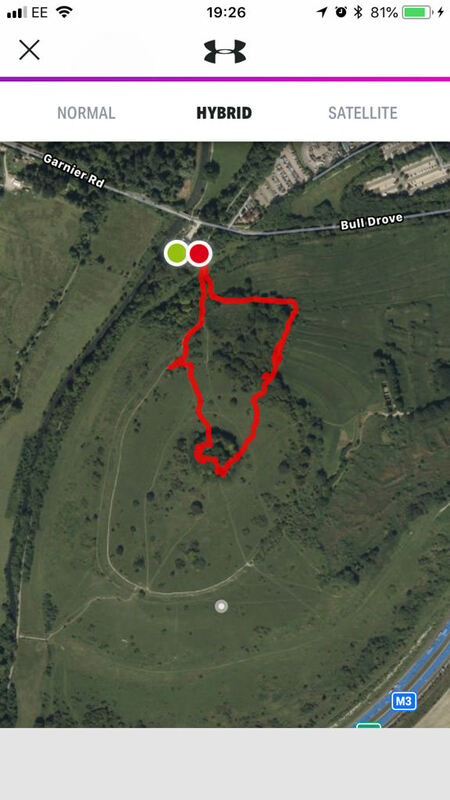 So this walk I’m describing now involves starting at the bottom of the hill from the Garnier Road car park end. The initial climb up the hill is steep and full of tree roots and uneven patches. 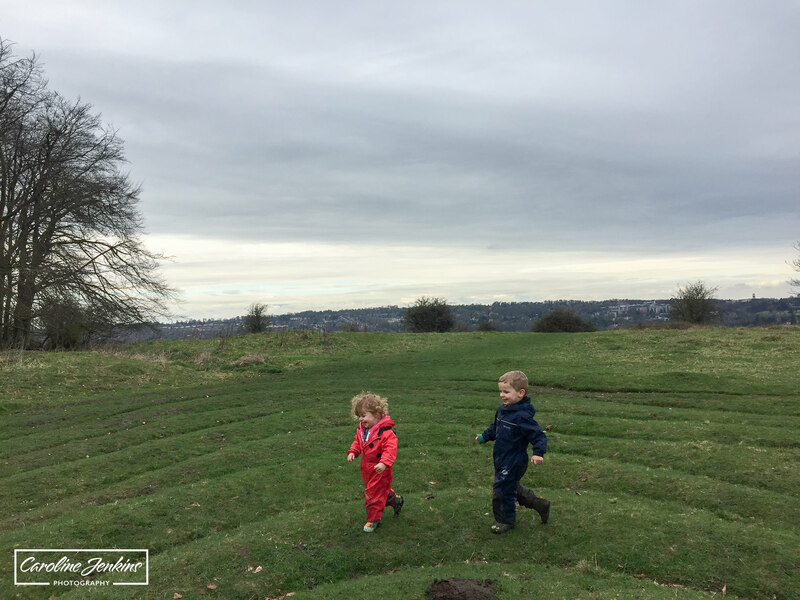 I’m not going to lie – it is hard work with two little people, but if you can push on through, it does even out a little bit as the path starts moving in a more horizontal direction (halfway up) which I find is a great place to stop and catch your breath (on the pretence of looking at the views of course)! After that it is one final push up a grassy bank and you’re at the top. From here to is great just to take a moment to look around. If the weather is on your side and it’s not too foggy, then the views are stunning. And if it is foggy and you can’t see anything, there is an amazing sense of peace and calm that wash over you. There is a great maze cut into the ground (that apparently dates as far back as 1647) but my kids just enjoy jumping over it and following the lines. 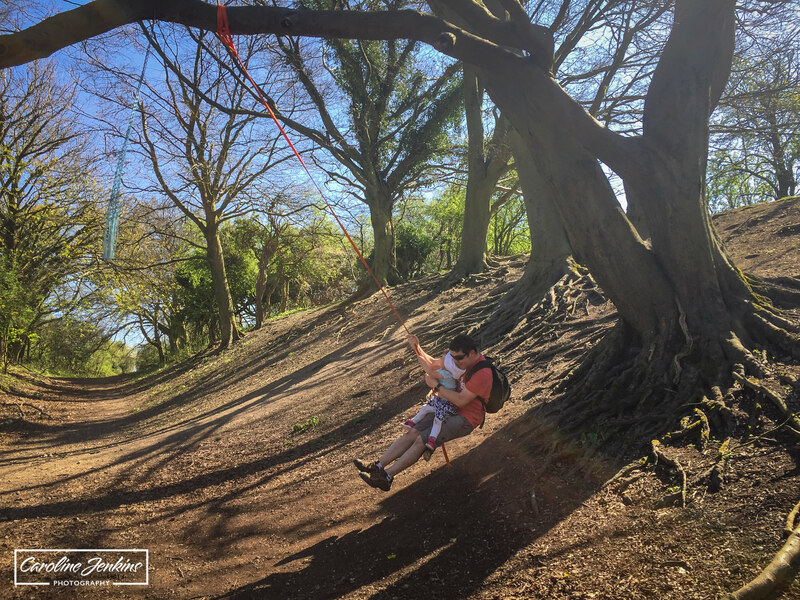 It has a lovely set of trees clustered at the top which provide some much-needed shade at times, as well as many rope swings and logs to climb all over and practise balancing skills! You will undoubtedly run into a herd of cattle that graze at the top here, but I’ve found that if you leave them alone then they’ll pretty much ignore you. On the way down (the opposite side of the hill to the way you arrived), you will have great fun playing on more rope swings, running up and down steep banks and playing hide and seek. There are some nice steps that lead you down back to the car park again. You can see from the maps below – it’s not the longest route by any stretch, but the incline is steep. In case you’re still not convinced – the views are amazing! You feel totally on top of the world and it’s brilliant trying to identify the different landmarks. I haven’t yet found an adult or child who doesn’t love a good old-fashioned rope swing. There is one good one at the top of the hill and one further down on the descent which are great for all ages, but also strong enough to take an adult and child! 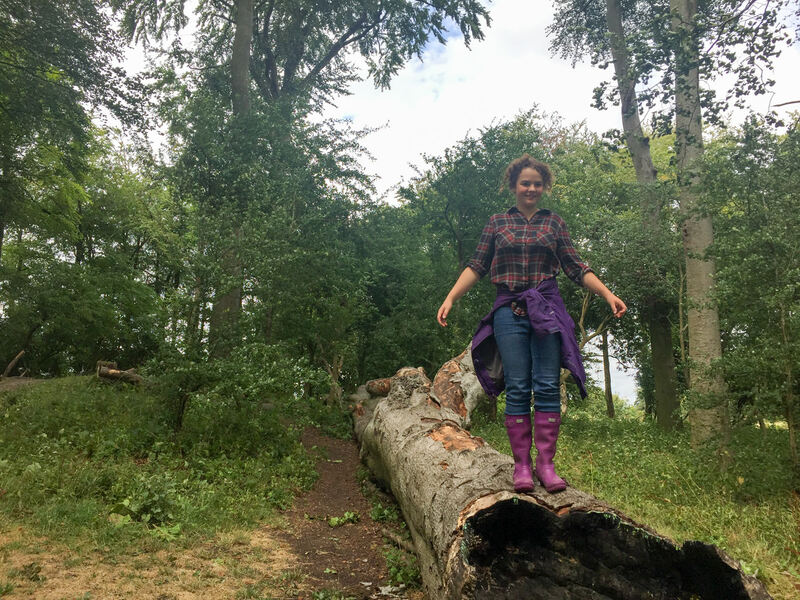 There are loads of fallen trees and stumps that are great to climb on, especially one big one that has a hollowed out end. My kids love to pretend that this is a rocket – the imaginary play is fantastic! This is great fun to play around in, jump over and follow. I can’t believe that it’s about 350 years old! This was my husbands suggestion. I see the climb as hard-work and difficult whereas he sees it as a workout. That’s the difference between his exercise mentality and mine! I know I am a bit biased about this one, but I have spent hours taking photographs here, whether it’s of the kids, the views, families or just the whole thing. It really can be spectacular! The parking situation at either end of St Catherines Hill isn’t ideal. St the St Cross end there is parking along one side of the road, but just be careful of parking in front of farmers’ gates as they do not take Kindly to it! At the other end, the Garnier Road car park is relatively small (probably about 15 cars or so if they were to park sensibly), but it is very often full when we go. There is a park and ride up the road, but it’s not an easy walk with children and a dog as there is no distinctive pavement. As I mentioned previously, if you have a wheelchair or pushchair in the party then I would not recommend trying to head up to the top of the hill, especially the route I have suggested. I have done it once with a pushchair and it was by no means easy or quick! 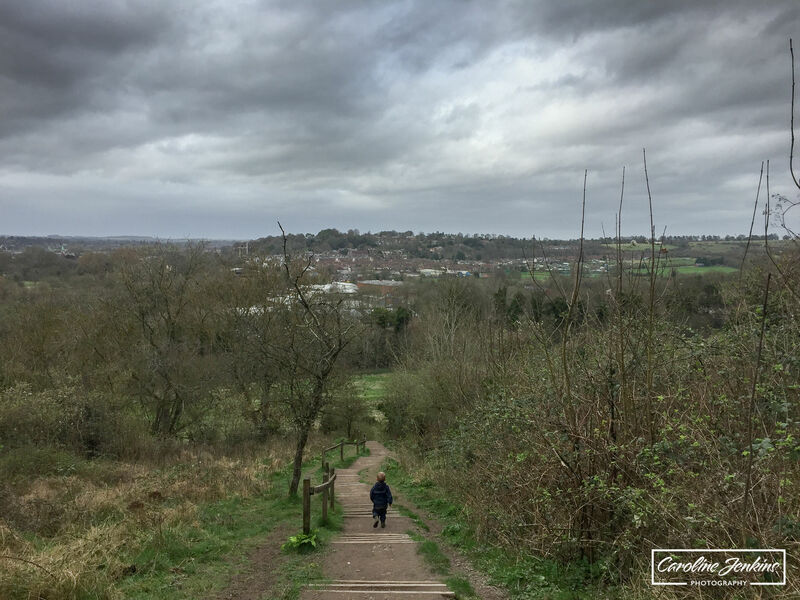 There is a lovely smooth path that runs alongside the hill and next to the River Itchen though which I used to do a lot when the children were still tiny. Because this is a nature reserve, they obviously try to encourage you to take dog poo and rubbish away with you. There is only one bin in the car park on Garnier Road, so just be prepared to carry the bag for a while. Some people leave the dog waste behind which is something else to watch out for! Many cows = muchos cow pats. 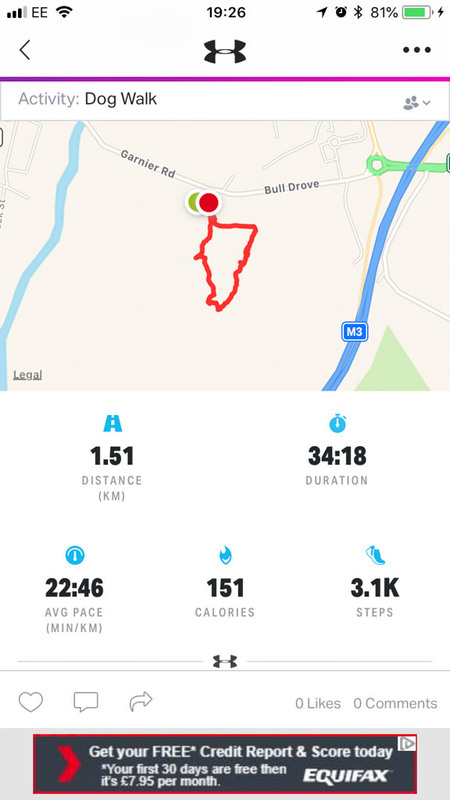 So there you have it – my first dog walk near Winchester suggestion! I really hope you have enjoyed it, find it useful and are inspired enough to give it a try!